For the third time this season, Sils went into a 1st v 2nd match, knowing a win would really strengthen their league position. Whilst the side was missing Ruth Dovey, Lauren Hobday and Libby Shepherd, the Sils were able to call upon Izzy Gardner in a rare week away from her netball commitments. Sils started well, and played some really well structured hockey, with the defensive trio transferring the ball well across the pitch to try and find gaps within the hard-working home defence; Clara Miles pulling the strings effectively. It was quite fitting then that Clara opened the scoring, reacting well to an initial PC save from a Frankie Levey shot to score on her second attempt from close range. 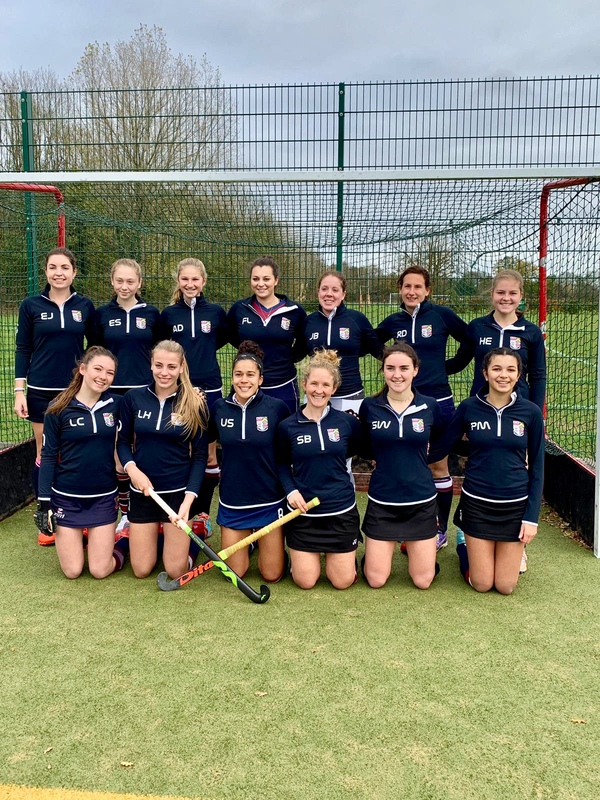 Sils continued to play some attractive hockey, though ever mindful of the fast breaks of Atherstone which were dangerous and caused a few anxious moments - not least when their first PC was cleared off the line by Sophie Williams with the aid of Jo Brett in goal (and her facemask!). The amount of possession was fairly even, but Sils were able to create slightly more goal-scoring chances, and with a few of the things they have practised in the last few weeks paying off, they were able to take a 3-0 lead into half-time; Izzy Gardner tapping in from close range after a Sophie Boyle reverse stick shot, and Ursula Santos finishing off a great flowing move, placing the ball home on her second attempt after an initial save by the home goal keeper. The second half started in good fashion, with once again a great team move allowing Priya Majevadia to turn home from close range giving the Sils a 4 goal cushion. However, at this point the Atherstone work-rate increased further, and any space in midfield was being snuffed out effectively by the combative home team. Whilst Jo Brett actually had no saves to make in the second half, equally, the chances at the other end were few and far between, with the only real clear cut chance coming when the Atherstone keeper, along with the help of one of the posts, kept out the combined efforts of Priya and Frankie. With neither side able to score further goals, the game ended 4-0 to the Sils, and left them 3 points clear at the top of the division, and happy with their ever improving performances and team cohesion. Captain Emma James won a very close player of the match vote, through her excellent coverage of the pitch and distribution of play throughout.